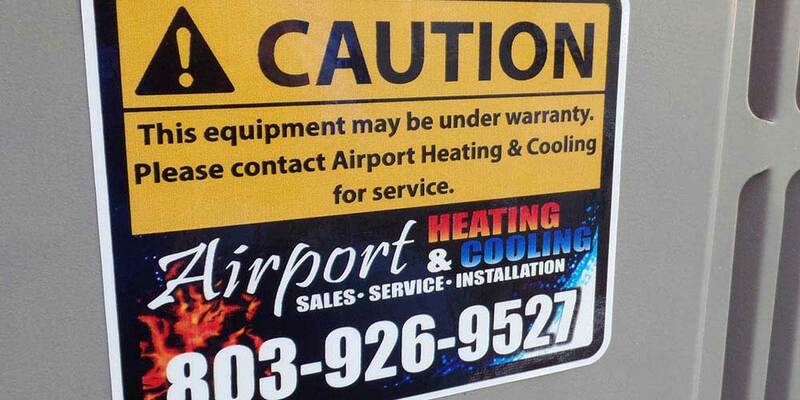 Whether it’s an existing unit or a new installation, you are covered with Airport Heating and Cooling. Most manufacturers offer a 5-year parts warranty, but did you know that when we install your new system that we can register you to receive another 5 years parts warranty? That’s a total of 10 years! Additionally, we provide a 1-year labor warranty on any new installation, even if it’s not a brand we would normally sell. We are known for our exceptional duct systems. Our unique technique stands the test of time and speaks for itself with our 10-year workmanship on any complete duct system that we install. This means, that if anything happens to your duct system within 10 years, we will fix it at no charge to you. Don’t wait; call us today for a free estimate on a new duct system. Let us tell you what makes ours the best! If your system is nearing its end and you haven’t kept up your service agreement, you may not be able to count on your warranty. Our service agreements are affordable and necessary to keep your equipment running properly.